One of the games that I played as a kid was Sapphire. I fell in love with the legendary pokemon in this game. The fact that they were the reason in Hoenn’s folklore on how their island got created was intriguing to me. I loved that depending on which gamed you played on depended on which Team you worked with. I also fell in love with the secret bases and the beauty contests. When I heard that they were coming out with ORAS (Omega Ruby and Alpha Sapphire), I immediately preordered it. 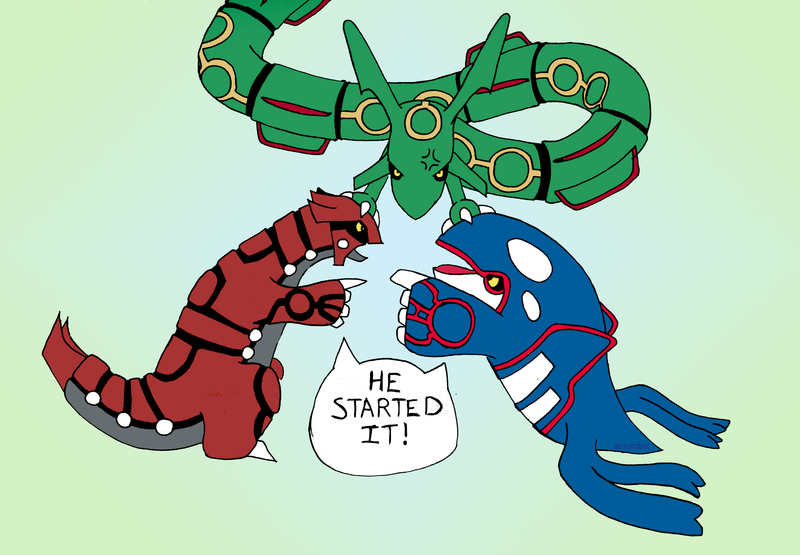 Anyways, here’s a quick drawing of Kyogre and Groudon in another argument with Rayquaza trying to stop their fight…again.